The mission of the Center for Transformational Practice (CTP) is to support the transition to a just and sustainable culture by advancing inner transformation as the foundation for positive social change. a campaign to network the regional transformational movement in three sectors. 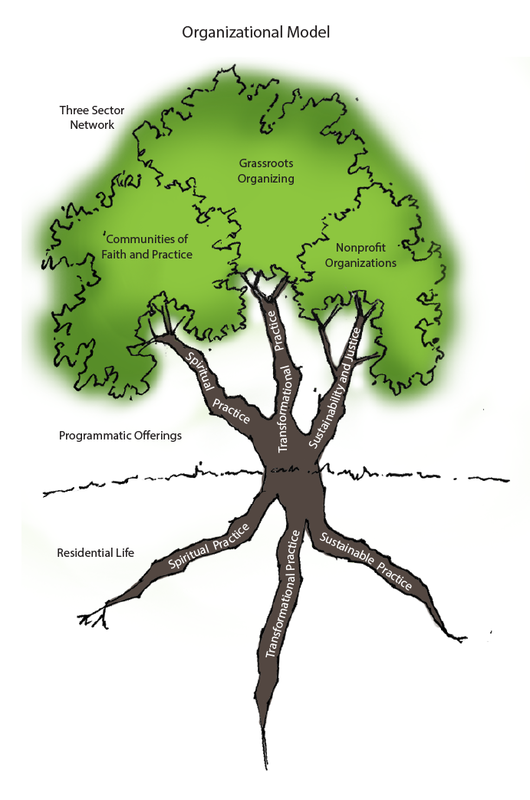 Through the work of the strategic planning process of 2016-17, the relationship between these three areas of activity and these three categories gained greater clarity through the metaphor of a tree.